DELTA-SIGMA Inc. (DSI) was founded by Ernesto Starri, an American citizen, born in the Free Territory of Trieste. Mr. Starri, the current President of DSI, had a well traveled history which began with studies in his native country, and a later move to the division of G.E. Marcone, Eddystone Radio, in the UK, as a Test Engineer. It did not take long for him to work his way up to Chief Engineer for the High Power (MRI) Amplifier Division in Birmingham, UK while continuing to study. The competition during this time was tube technology. After establishing his credentials by being the first to obtain 2kW from a single solid state device Mr. Starri attracted the attention of Motorola’s Helge Granberg who encouraged him to make another move, this time to the USA. After growing through careers at RF PowerLabs, Kalmus, Lucas-Zeta and AMT (SPECTRIAN), Mr. Starri was determined to not accept any more compromises and established his own company, DELTA-SIGMA Inc. (DSI), in sunny Southern California with his wife Lisa working at his side. This innovative corporation had humble beginnings in 1995, as it was originally based out of their private home garage in Corona, CA. 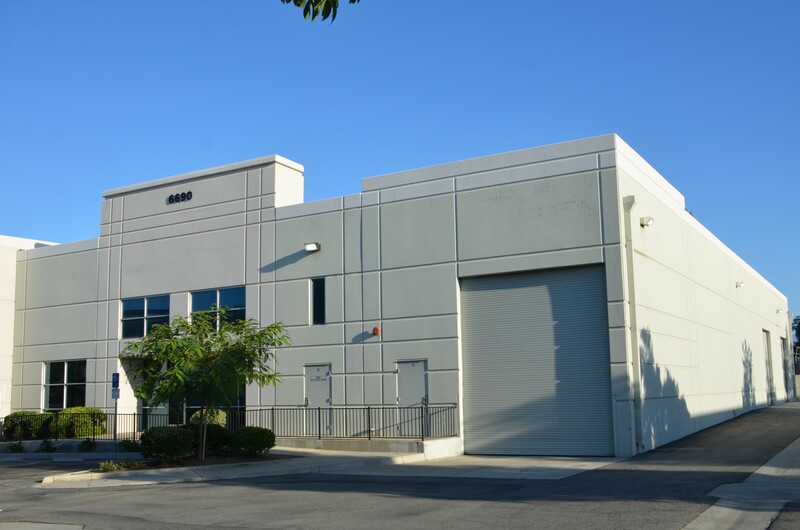 The conditions were very cramped and quickly required moving into larger quarters located in Riverside, CA as the business grew. DELTA-SIGMA Inc. acquired the first company contracts building a 10kW radar transmitter. This modest company soon developed a strong team and quickly became a large volume manufacturing business supplying primarily to the U.S. Government / Military, Scientific entities, Aerospace companies, Universities, Research organizations and Large corporations. DSI has rapidly expanded its horizons by finding its niche in high power RF amplifiers in the frequency band 0.01-2.0GHz. and has become a major international supplier. The product focus is on small size, extreme linearity, high power amplifiers operating in CW and pulse formats, with high power output to 350kW and beyond. The users are largely in the aerospace industry with an emphasis on Airborne and Remote site locations. Both commercial and MIL SPEC products have been delivered while meeting the requirements of “special projects” for certain customers. DSI first offered comprehensive product support, as a way of developing a large customer base. Looking back, it is clear that the success the team has experienced has been due to a very low warranty return rate that has resulted from an attention to quality. There have been very few returns, in or out of warranty, and that has enhanced the value of DELTA-SIGMA Inc. to the customers in the field. DSI continues to develop new products with a variety of innovative patented features. This includes couplers that serve a dual use for Vector Feedback systems, extreme isolation solid state switches that radically reduce the complexity of system architectures, ultra linear wideband systems, and efficient control for pulse systems. DELTA-SIGMA Inc. meets or surpass requirements while maintaining low intermodulation products and is known for excelling in responding quickly to customers. New designs rely on the availability of large numbers of modules and configurations that are made to adapt to multiple program requirements upon customer request. This modular approach provides for variants that are basically COTS with only minor tailoring for the final product. Adaptation is then very low risk, and has the added advantage of driving down costs for the customer with volume production. It has therefore become economically efficient. DSI purchased their current building in 2006, close to the previous building in Riverside, CA. It is conveniently located approx. ¼ mile from the Riverside Municipal Airport (KRAL). This facility has 12,500 sq. ft of workspace with an additional 20,000 sq. ft. of secured parking. There is a also a dock bay for shipping and receiving heavy loads. DELTA-SIGMA Inc. continues to seek niche “compact RF” programs for mobile applications which stand to benefit from this approach.